ELMONT, Nassau County (WABC) -- A mother was arrested on Long Island after she allegedly struck a police cruiser and then led officers on a chase with her young son in the vehicle. 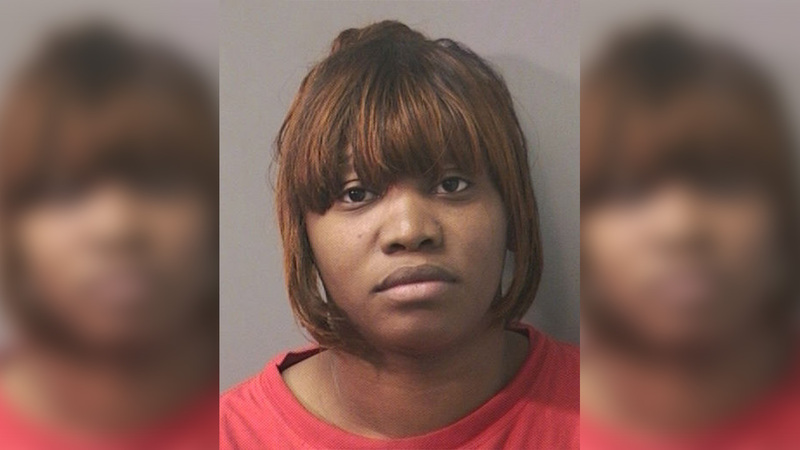 Authorities say 24-year-old Tanaisha Ferrell struck the cruiser Monday in the parking lot of a CVS pharmacy in Elmont. She then took off, police said, driving recklessly, disregarding traffic lights and striking an unoccupied vehicle. She eventually stopped when she reached a dead end and was taken into custody. Officers reportedly found her 1-year-old son in the back seat. He was not hurt, but an officer was taken to the hospital after he was injured in the crash. She is charged with reckless driving, unlawful fleeing of a police officer, endangering the welfare of a child, leaving the scene of an accident with physical injury and multiple vehicle and traffic violations.